We will always guarantee the quality of the product we ship to you. Just drop us an email within 24 hours after receiving your merchandise if you are not satisfied with the product we delivered. Shipping and handling is reasonable and is depending on location. For the exact shipping and/or handling amount, please refer to the shipping/handling rates uppon placing the order. When the shipping rate differ from the shipping/handling rate quoted on your order, we will contact you for the new rate approval. We do not make any profit from the shipping charges. 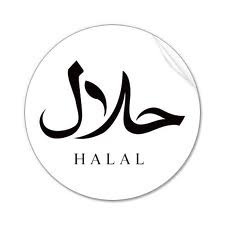 All our products are Halal, Kosher, and do not contain any annimal products. The shipping charge is the actual cost imposed by the EMS and local Post Offices. We ship our items domestic and International discrete to ourconsumers worldwide, International orders are welcome, we ship worldwide. We will contact international orders if additional charges are involved, but mostly because of the light weight of our products this rarely happens, but if so, we will contact you first, and only then, we charge and ship. We ship out next working day. We use EMS EXPRESS SHIPPING RATES, and REGISTERED MAIL options uppon Checkout. Our Secure Servers and Security Software are located in the U.S. and compliant within US Regulations. We use EMS Express Service and Registered mail services for shipping for countries listed uppon checkout in our shopping cart. Delivery will be made up to a weight of 4 Lbs. by international registered mail. If the weight is more then 2kg, the order is split into several shipments. On request or inquiry, we can also offer larger quantities as a package and express deliveries. Please contact us in this case, before placing an order for the shipping cost! You will get from our customer services a notice that the shipment is made, and tracking nbrs and info wil be provided within 24-48 Hrs. After 1-2 days, then the consignment number of your shipment will be traceble in the Postal Database. For the tracking information you can use the link: http://http://ems.posindonesia.co.id/ Please note! Registered mail can be delivered in any packing station! Keep in mind If available at the first attempt to deliver the order the postal services will leave a note for the shipment, which then you must pick up at your local post office within 15 days! Otherwise, the merchandise will be returned to the sender! Whith small amounts of less than $200 value of goods are usually no customs fees charged! We have no influence on customs fees, as these are calculated different for every destinations. As each regulation differs per country, the receiving party is solely responsible for customs regulations. We never had any problems of this kind, since our products contains 100 percent natural products. Order shipped via regular Registered mail can take 4-28 days because the receiver will have to sign for the shipment uppon arrival, in case shipment is lost we will only be able to refund the insurance value and the shipping costs of the shipment. Regular shipping will only occur to countries who do not accept EMS shiping, which are just a few countries worldwide. We will ship your order once your payment received uppon checkout. Please remember, there is always a few days spent for custom/duty clearance. Your order will be shipped the next working day and will arrive via Registered mail within 3 - 28 days business, depending on the destination, for Express Shipping it takes 2-7 business days, depending on locations. Please notice that in some rare occasions it may take longer, depending on third parties Please be advised that if you use forwarding address, the delivery time can take longer. For EMS Express Shipping and Registered Mail, you will be provided with tracking number information in order to track and monitor your shipment in real time. To track your shipment follow : Track your shipment.